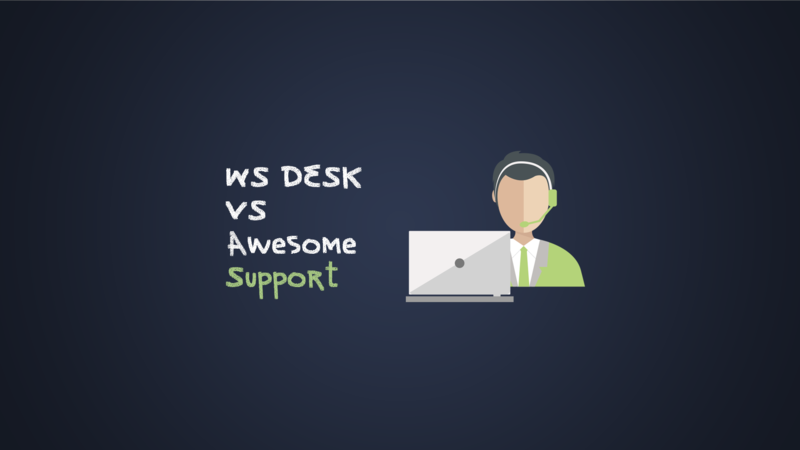 Trying to choose between WSDesk and Awesome Support for your business' WordPress helpdesk solution? A well-functioning helpdesk is going to have lots of moving parts. And when you're just looking at a simple list of features, it's hard to understand exactly how those moving parts come together. To help you better understand how WSDesk and Awesome Support compare in the real world, we've gone beyond the marketing copy and written a detailed comparison of the two plugins. By the end of this article, you should know whether each plugin can offer the essential features you need to offer your customers the best support possible. We'll follow an identical format to our comparisons with JS Support Ticket and WP Support Plus so that you can compare all four plugins against one another. WSDesk and Awesome Support both offer free versions available at WordPress.org. For additional functionality, WSDesk offers a single premium version with different licensing options, whereas Awesome Support offers a set of premium add-ons that you can mix and match as needed. According to its WordPress.org page, WSDesk is active on 1,000+ websites and has a 4.1-star rating on 18 votes. On the other hand, Awesome Support is active on 7,000+ websites and has a 4.6-star rating on 107 votes, according to its WordPress.org page. By the end of this article, you should have all of the information you need to decide between WSDesk vs Awesome Support. *For this comparison, we're going to compare the two plugins as if you had access to all premium features. Many of the deeper features from both plugins are not necessarily available in the free version, though. 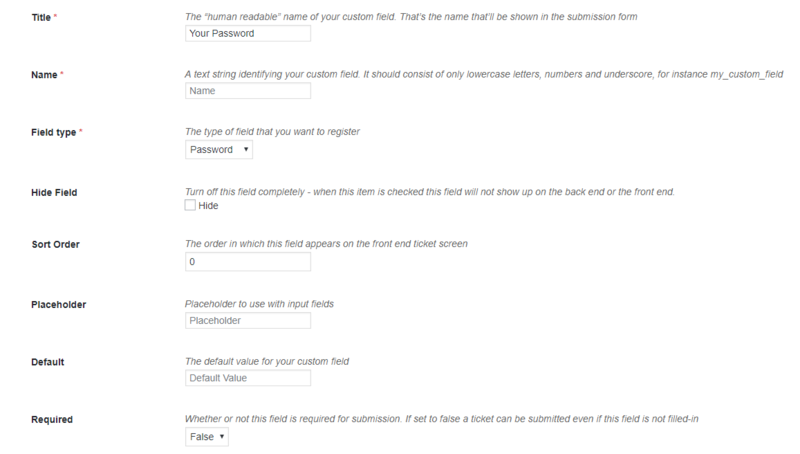 While the default frontend ticket creation form is fairly basic, it's easy to add custom fields to your forms via 13 different custom form fields. 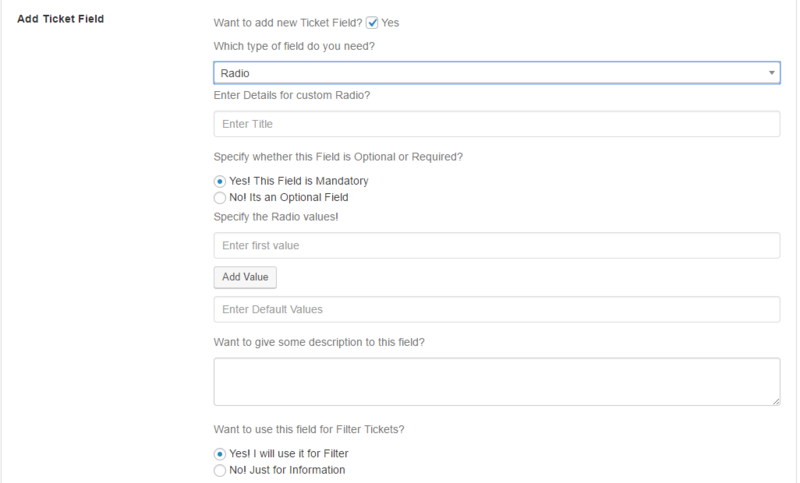 You can also choose whether or not a field is required, as well as whether or not to hide the field on the frontend. While those features are helpful, there's no option for conditional logic, which takes away a little bit of flexibility. And you also get a direct REST API integration that lets you integrate with other services like Zapier. To customize your frontend forms, Awesome Support gives you a couple of options. If you want some extra flexibility for functionality like conditional logic, Awesome Support also integrates with the popular Gravity Forms plugin to let you create frontend forms using Gravity Forms' functionality (including things like user registration, a Zapier integration, etc.). Once a user creates a ticket, you need a way to assign that ticket to the right agent and stay organized in your dashboard. When a new ticket comes in, WSDesk gives you a way to automatically assign those tickets to agents via something called triggers. For example, there's no way to take into account whether an agent is actually working or not before assigning the ticket. To organize your tickets, WSDesk lets you set up custom labels, complete with their own color coding for easy recognition. Awesome Support sets you up with six different pre-built algorithms that you can use to control how new tickets are routed and assigned. 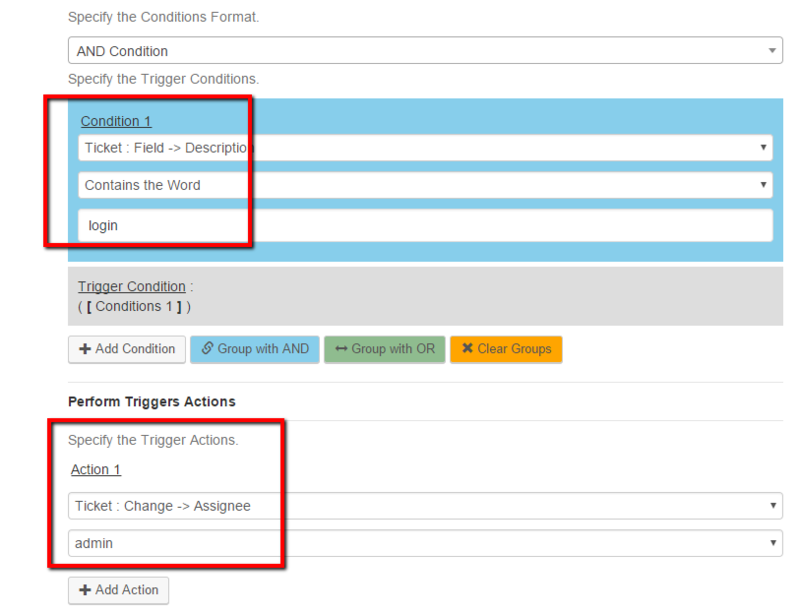 And you can also set up your own methods using AND/OR conditions. There are also some other assignment options that go beyond these algorithms. For example, you could allow certain "VIP" clients to choose their preferred support agent. There is so much flexibility in the Agent Assignment process that they wrote an article with the title SIX WAYS TO ASSIGN AGENTS TO YOUR TICKETS. And Awesome Support also lets you actually display these fields as a separate column in your dashboard, which isn't something that WSDesk allows for. 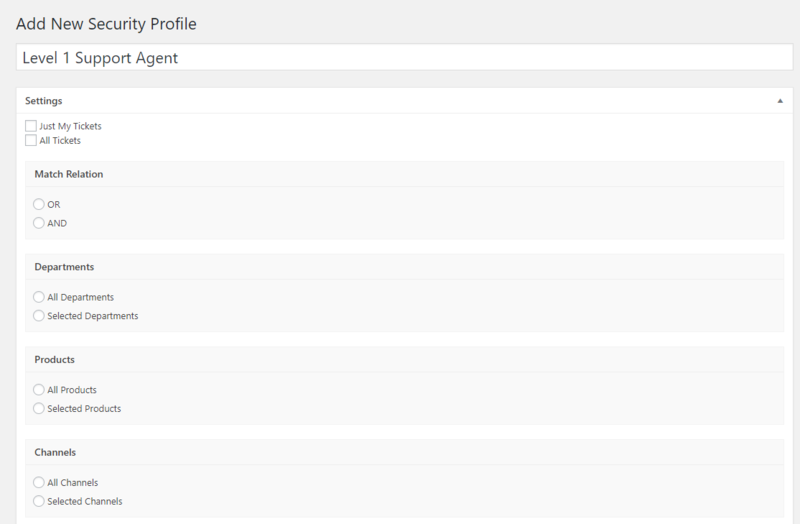 Individual agents can also create (and save) their own custom filters to quickly find the tickets that are most relevant to them, as well as their own to-do lists for more organization. While each plugin also lets respond to tickets via email, we're going to save a discussion of the email functionality for the next section. One thing that you'll either like or dislike about WSDesk is that it doesn't use the standard WordPress TinyMCE editor. This isn't a major issue, but the included editor isn't quite as user friendly, which is a little bit disappointing. And to save time, you can create canned responses (called templates) that let you dynamically include a user's information, like their name. You can also CC external users on a ticket, which is helpful if you're working on a ticket with multiple stakeholders or need to keep another support agent in the loop. One feature that's potentially missing, though, is a full ticket history log. While you can always view past responses, there's not an easy way to tell when a ticket was transferred or had its label changed. Awesome Support's individual ticket management interface is more closely based on the core WordPress editor, which should make it easier to quickly pick up if you're already familiar with WordPress. Like WSDesk, Awesome Support lets you create canned responses that include dynamic information (e.g. a customer's real name). And you can also automatically close inactive tickets based on timing that you specify, including an option that lets you send out a series of warning emails to your customer before the ticket is actually closed. 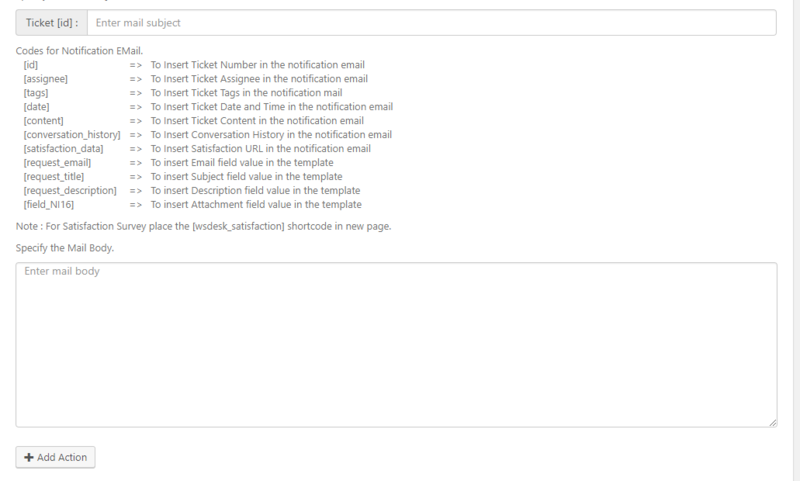 Beyond the actual dashboard, both plugins let you accept tickets via email and also reply to those tickets via email. 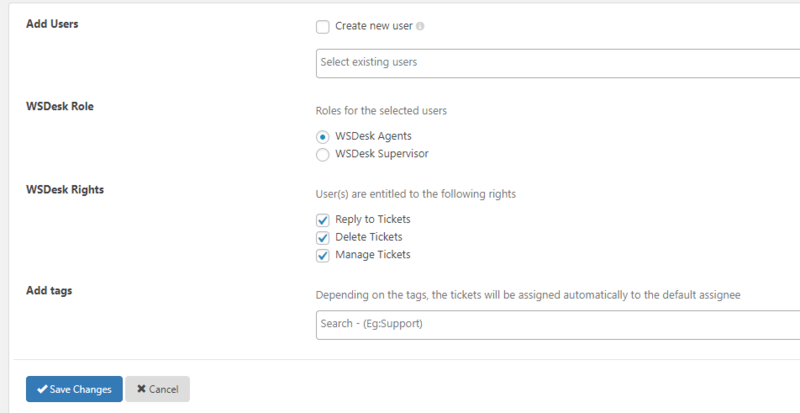 Through the same triggers that you use for ticket assignment, you can set up specific workflows for tickets that you receive via email. And both customers and agents are able to respond to tickets via email. As for email notifications, WSDesk gives you a good deal of flexibility via the same triggers area. But there are a few things about Awesome Support's approach to email that makes it a bit deeper. Because of these rules, you can essentially run most core helpdesk functionality via email, which is helpful if your team ever needs to work over email exclusively. An unregistered user sends you an email. You can, if desired, automatically create a new account for them. Someone tries to send an email response to a closed ticket. You can either reject the email or re-open the ticket. Like WSDesk, you can also CC third-parties that aren't a direct participant in the ticket. For many business niches, you might need to collect sensitive information from your customers to better support them. For example, with digital products, you might need a customer's username/password. Unfortunately, WSDesk doesn't offer any way to securely handle sensitive data beyond submitting it as a regular reply or a public custom field. Automatically deletes the data inside when the ticket is closed. This ensures that, while regular information stays in your ticket history, no sensitive data is permanently stored on your server. In addition, Awesome Support also sets you up with a few different ways to control which agents have access to tickets (or information contained in those tickets). First off, Awesome Support ships with 30+ WordPress capabilities and 4 default roles to help you manage access. 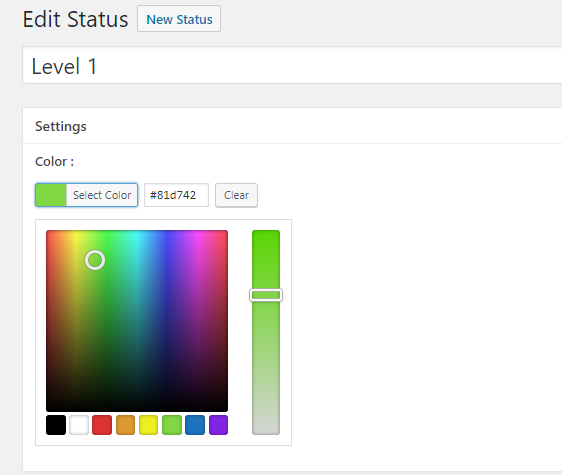 You can also customize those abilities further by creating or editing your own user roles. Finally, while not strictly related to data security, Awesome Support offers PIN (personal identification number) functions. Users that call into your help desk or initiate a chat from your website can provide a PIN that is only accessible from inside the Awesome Support dashboard. This proves that the person on the other end of the call/chat is authorized to access the account. This adds another defensive layer to your security processes and is something that, at the time of this writing, no other WordPress HelpDesk plugin offers. To make your helpdesk as efficient as possible, you need data. In this section, we'll compare what type of data and reports each plugin lets you access. All of that deeper data is what helps you truly draw meaningful conclusions and create an actionable plan to improve your helpdesk with key performance indicators (KPIs). Awesome Support gives you two different areas for reports and data. 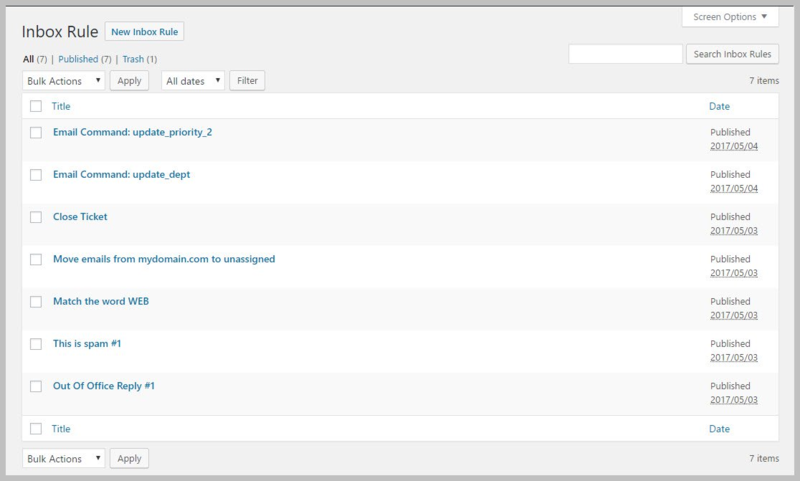 From these 6 core reports, you can use the many filtering options to create hundreds of different report variations. And to make it easier to call these variations up later, you can save variations for ongoing use, as well as add security rules to control who can see the reports. These features didn't fit into any specific category but are still worth discussing as they're important for some use cases. WooCommerce integration - lets you use WooCommerce fields and view WooCommerce reports. Customer feedback survey - helps you figure out how satisfied your customers are. Backup and restore tool - lets you easily back up your data as an XML file. 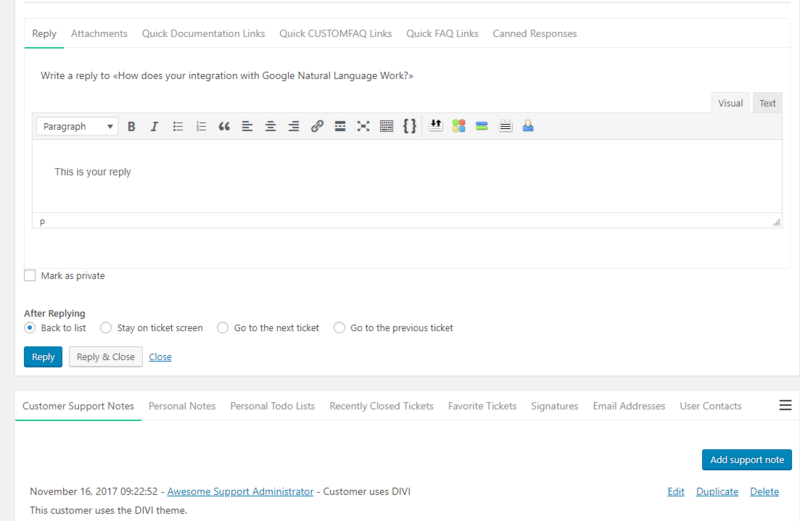 Import Zendesk tickets - lets you import existing tickets from Zendesk. eCommerce support - integrations for WooCommerce, Easy Digital Downloads, and Envato (including an option to restrict tickets to only people with an active license). Satisfaction surveys - send 4 different types of satisfaction surveys. Slack notifications - get a Slack message when a new ticket comes in. Time tracking - agents can track their time, including an option for specifically handling billable hours. 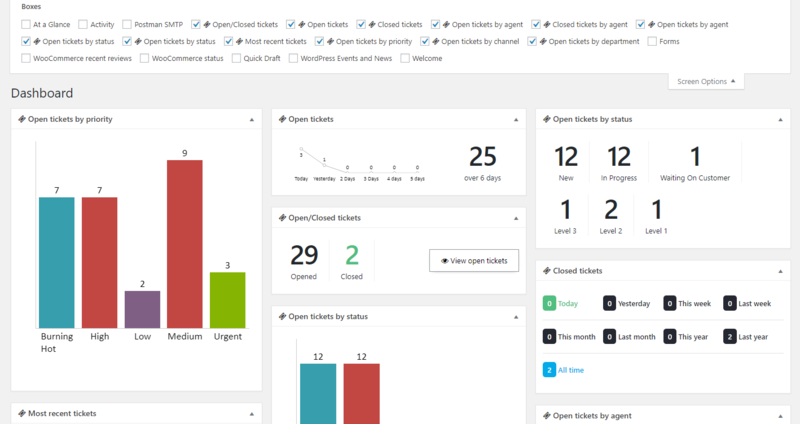 Public tickets - create a searchable self-help resource from your existing tickets. Instant FAQ - easily turn a ticket into a public FAQ answer. Documentation - create a documentation template that you can use to create consistent self-help articles. Ticket limits - if needed, you can set a limit on the number of tickets each individual user can have. Service level agreements - for example, you can create and track due-dates that take into account factors like weekends, holidays, work hours and more. Smart replies – use smart searches and artificial intelligence to create automated replies via email, Facebook chatbots, or your own website chat. Other than the number of sites, there aren't any differences between either license. 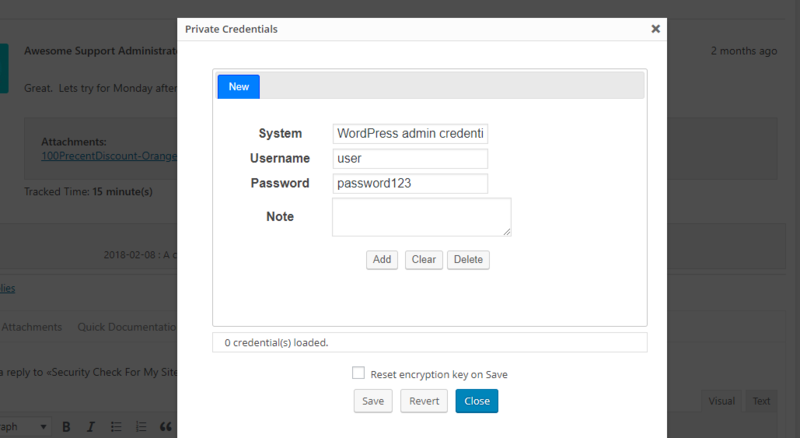 You can download the free core Awesome Support plugin at WordPress.org. To add additional functionality, you can purchase and install one or more add-ons to pick and choose what functionality you need. Individual add-ons range from $19-$49 each. Each bundle includes a different collection of premium add-ons. 1 = below average depth of functionality. An overall score of 10-19 means below average functionality. 2 = average depth of functionality. An overall score of 20 means average functionality. 3 = above average depth of functionality. An overall score of 21-30 means above average functionality. 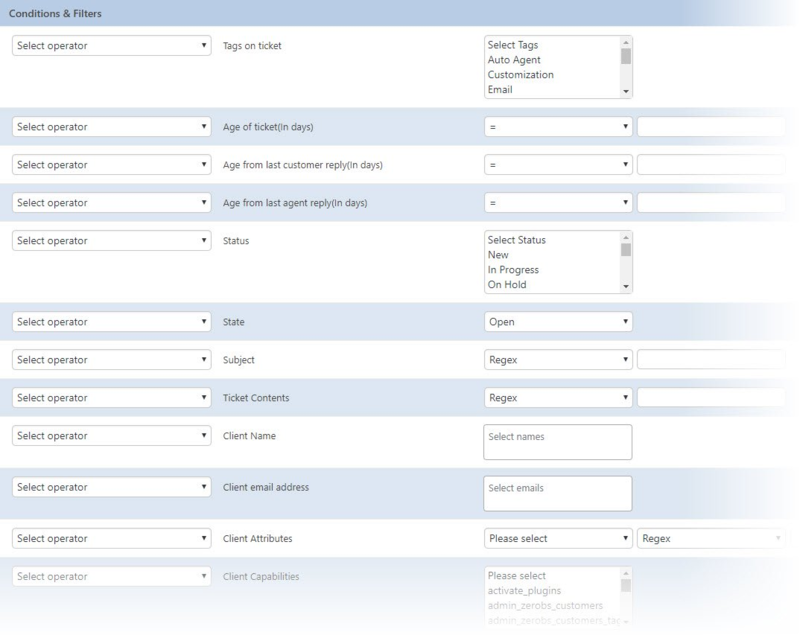 On the whole, WSDesk and Awesome Support offer above-average functionality in most key areas. With that being said, Awesome Support goes a little bit deeper into key areas that will have a direct effect on your helpdesk's productivity. 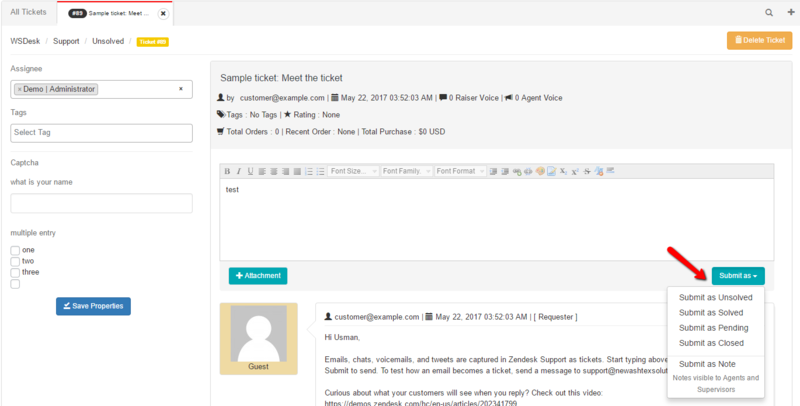 Deeper functionality for working with tickets via email. E.g. support for multiple inboxes, email filters/triggers, and more. More productivity tools in the ticket response interface. E.g. the ability to quickly insert links to FAQs/documentation in addition to canned responses. 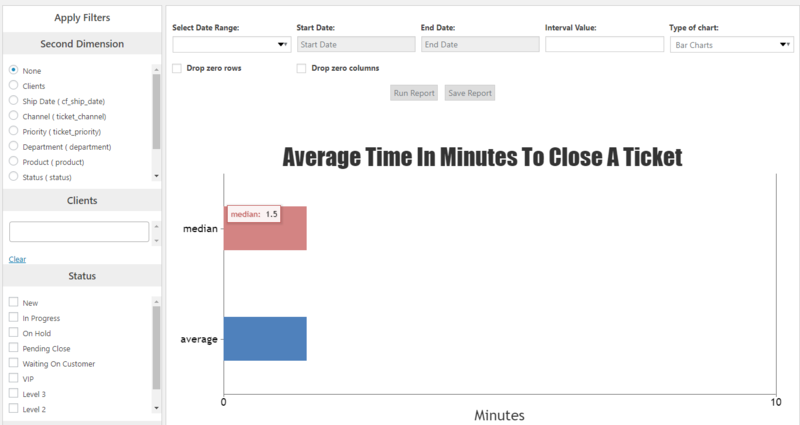 Deeper reports with more actionable data and key performance indicators. Lots of smaller productivity boosters like Slack notifications, individual to-do lists, time tracking, and more. To test how all of this functionality works in real life, you can try the fully-featured Awesome Support demo for a firsthand look.